That moment before your insides are all horribly squelched by a sonic mine. You could say, given that the internet is basically nothing but energy and inorganic matter, that there’s gonna be a lot to chew on. Hahaha. Haha. Ha. Anyway, let’s talk about Doctor Who, shall we? “The Tsuranga Conundrum” is a bit of a weird episode of Doctor Who, in that, it doesn’t really stand out. It’s a perfectly fine episode of Doctor Who—landing in that intangible, often forgotten middle between a great episode and a dreadful one. But it’s also basically an episode we’ve seen plenty of times in the show’s past, the age old “base under siege” trope, except the base is a hospital spaceship and it’s under siege by an indescribably cute version of that gremlin the Twilight Zone classic “Nightmare at 20,000 Feet” (or, depending on your age, the gremlin from the Simpsons Treehouse of Horror pastiche of said Twilight Zone episode). I expect a plush Pting will be on everyone’s Christmas list, because it’s pretty much the only thing most people will remember about “The Tsuranga Conundrum”. That feels a bit harsh for an episode that is, in general, perfectly fine—Jodie Whittaker continues to delight, and there’s even more great character stuff for the companions, Ryan in particular. It’s... fine! 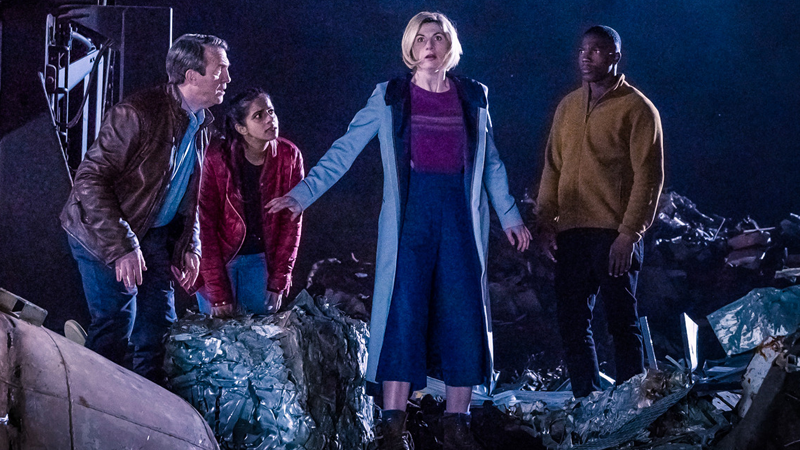 But while this season of Doctor Who has hit the ground running at a hell of a clip, it’s been doing so while ceaselessly trying to prove that it’s still Doctor Who, even with a new Doctor, new companions, a new look, and a new showrunner. So it’s been going through the Now That’s What I Call Who-sic collection of every Doctor Who story archetype there can be—the sci-fi mystery, the historical, the b-movie creature feature, and now, the base under siege—in order to prove that beneath all the shiny new paint beats the twin hearts of the Doctor Who we know and love. Which, frankly, it proved very well the minute it got going, and hasn’t stopped proving it... so I think we can put the checklist away for now, or feed it to the nearest Pting. Season 11 has proven itself more than enough, and it’s time for it to show us what it can add to the mix. We’ll have more to say about “The Tsuranga Conundrum” in our recap tomorrow, but for now, let us know what you thought about the episode in the comments below!